...and I have to celebrate it with something "Rocky". 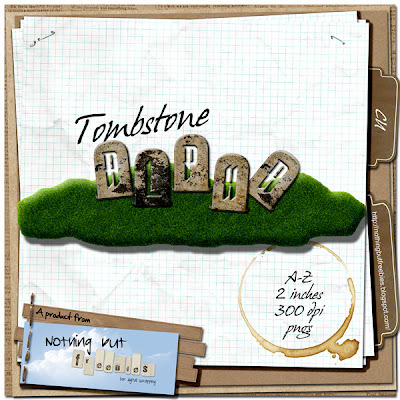 I haven't got much time as I am working in something HUGE for you (will be posted soon), but I managed to make you a rocky, Halloween-ish tombstone alpha. Rock on until next post! Thank you so much for this post. I want to let you know that I posted a link to your blog in CBH Digital Scrapbooking Freebies, under the Page 6 post on Oct. 07, 2011. Thanks again. love the tombstone alpha! thank you so much!! You do Rock!!! COOL!!!! Thanks for the fun alpha! sympa cet alpha ! Merci ! Cute alpha - thank you! Merci pour cet alpha !